14,000 and counting missing childhoods — Cristina Márquez B. 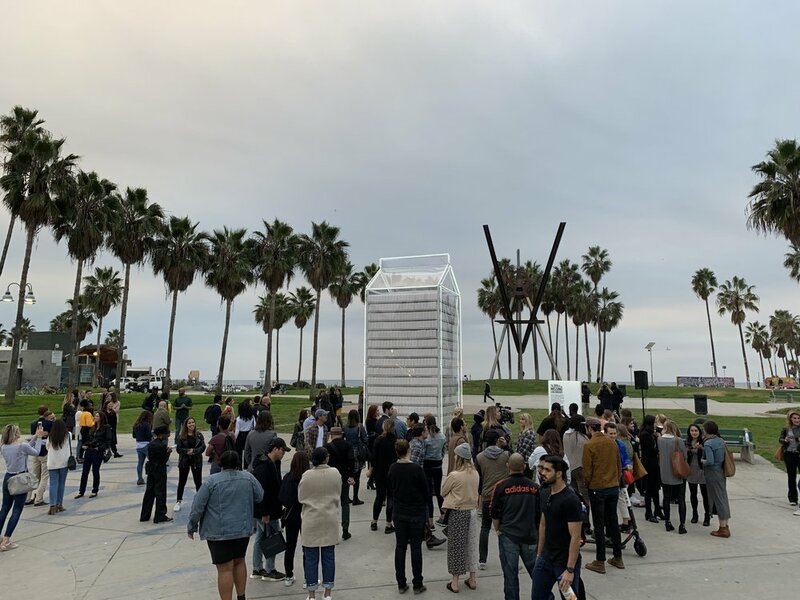 To highlight the fact that immigrant children are being incarcerated across the country and separated from their families, we built an art installation consisting of a 20 ft milk carton trimmed in white neon located in Venice Beach with 14,000 individual milk cartons inside representing every child. Instead of talking about missing children we used the milk carton reference to talk about what they are missing out on: their homes, families, and childhoods and wrote this on every milk carton. In our website, 14,000andcounting.org, we ask people to sign our petition, donate and share to spread awareness. If we get to 100k signatures, this problem has to be discussed by congress. Many immigrant children and their families make the exhaustingly dangerous journey to enter our country. They are seeking refuge and safety from violence and poverty, but instead are being held in detention centers, away from everything and everyone they know. They are missing from their loved ones, homes, schools, playgrounds and most importantly, they are missing their childhood. Let every child be protected. Let every child be with their family. Let every child have a home. Let every child be a child. Let every child be free. Children deserve to be children everywhere, regardless of where they are from. Creative Team: Cristina Marquez, Ginger Quintanilla, Daniel Kim, Jacqueline Miller, Tyler Hicks, Federico Zoppei, Raja Mani, Wale Agboola, Taylor Alley. With the help of: NowArt L.A, IM Creations.